Bibiana was born and raised in Colombia where she obtained an Honours Bachelor of Applied Science in Environmental Management. 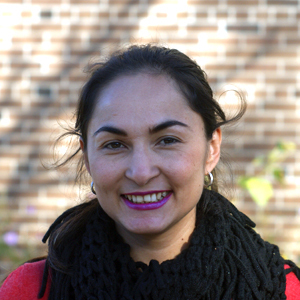 As part of her Thesis, Bibiana supported independent farmers in developing Agricultural Best Management Practices. While growing up, Bibiana was inspired by her dad’s municipal and provincial contribution in the education and social areas. In Colombia, she actively participated in Community Development projects and led the selection of environmental reading material for several high-school libraries. After moving to Toronto in 2008, Bibiana completed a Post-Graduate Certificate in Urban Land Development. Bibiana's experience comprised; over four year promoting healthy and active life styles, developing and implementing sustainable environmental practices, facilitating workshops, community outreach and stakeholder management. Bibiana happily joined the FoodShare family in 2014 as a part-time Community Food Animator and moved to full-time status as Food Justice Facilitator in 2015 where she advocates for an inclusive, community-led and participatory food system by addressing systemic change and building stronger communities.